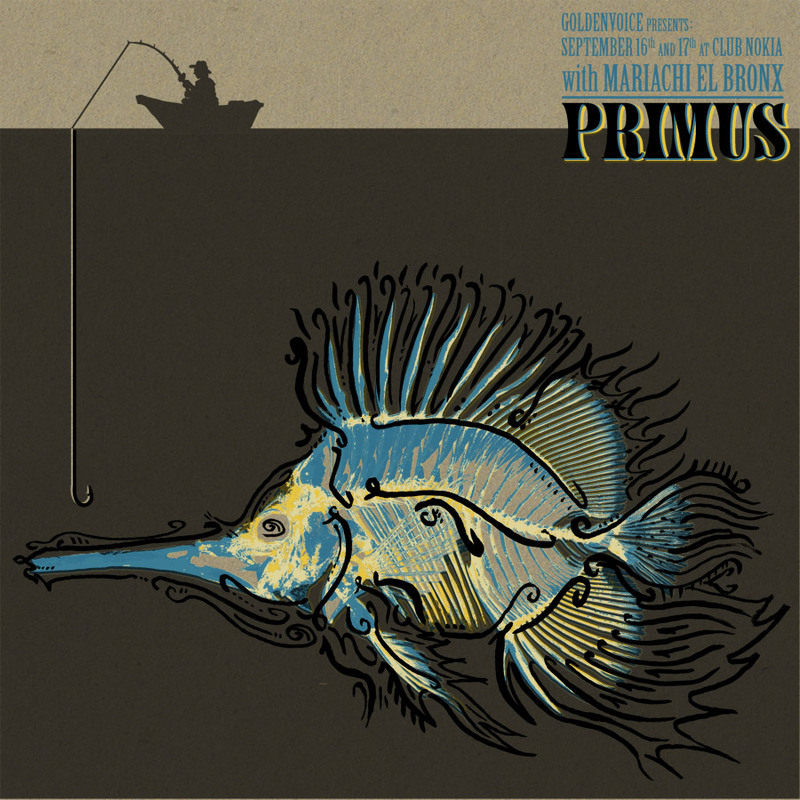 Primus Poster. Illustration & design by Bob Motown with Mike Thacker for Two Rabbits, 2010. This 12 x 12 inch Poster is 5 colors printed on chipboard. Cream, Blue, Gold, Black and Gloss Black. Available HERE!